Today is National Relaxation Day. What better way to participate than with our beautiful Yin Yoga class. Join us tonight - or check out the timetable for future classes. Read Kirsty's class review so you know what to expect from this class. Yin Yoga last night was a prefect end to the day. 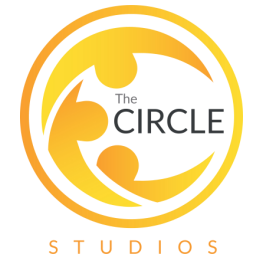 The studio was warm, cozy and relaxing in contrast to the rainy evening outside. The low lighting and relaxing music helped create a lovely ambient atmosphere. Yin is a slow paced class where we hold each pose for around 5 minutes. We used the soft blue blankets and blocks to support us when holding the poses. I feel it’s like giving yourself a meditative massage. Yin has its own names for the poses which is a nice change, and which really sets it apart from other yoga styles. Karen explained that Yin works a lot deeper than regular exercise. Even though it doesn’t appear we are doing a lot it’s very relaxing, healing, restorative and great for the body. 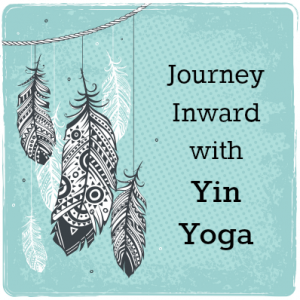 Yin Yoga is great if you are tired, over-stimulated, if you have too much energy, your mind is overactive, whether you need more energy or you feel you have too much. Yin works on the connective tissue, called the fascia. To keep joints mobile and healthy we need to keep our ligaments and tendons happy. We need to slowly stretch our body to help our fascia. Ligaments and tendons will start to relax and release when given the time, creating space, increasing strength and inspiring a deeper flexibility. Our nervous system works together with our musculoskeletal and fascial system to shape and form our posture and body. Yang is a more dynamic style, because it stretches and strengthens muscular tissues with an emphasis on heating the body. Yin focuses on the connections in the pelvis, hips, and even the lower spine. Yang postures typically involve standing while most yin postures involve sitting or laying down. Many Yogis believe the combination of yin and yang poses balance each other out and give the body the full exercise it needs.